Solar Charging: turbo charge via the micro USB port in 3.5 hours with full battery. 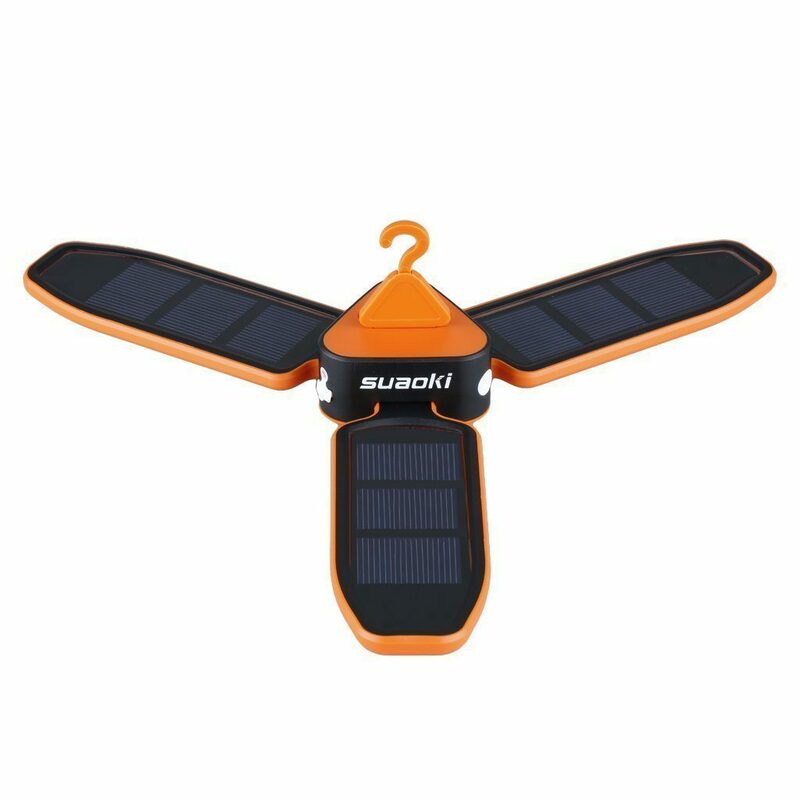 Three individual solar panels support charging when in emergency outdoor conditions with no outlets or power source. Versatile Lighting Source: you can choose one of three lighting modes: high, low or SOS blinking, perfect for outdoor activities like camping, hiking, fishing, or a light source for late-at-night porch readings. 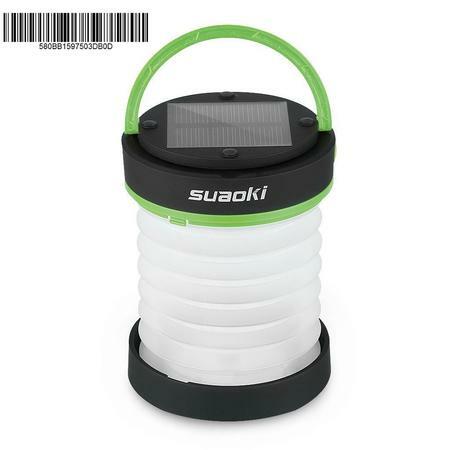 Convenient to Carry: portable, foldable and durable, this lantern can be adjusted to any particular space to fit your current needs. Shorter than iPhone 6 plus, it can be folded down completely to take the least space in your backpack. Thoughtful Details: Hidden hanging hook design allows you to place the light on outdoor occasions such as camping light for your tent.